Joan's Blog: Foodie Pen Pals No. 3! Hello! It's been a while since I've been on, largely due to a certain amount of what you might call positive turmoil - finishing an old job, starting a new one; it all takes a bit of getting used to and doesn't leave a lot of mental energy for blogging. 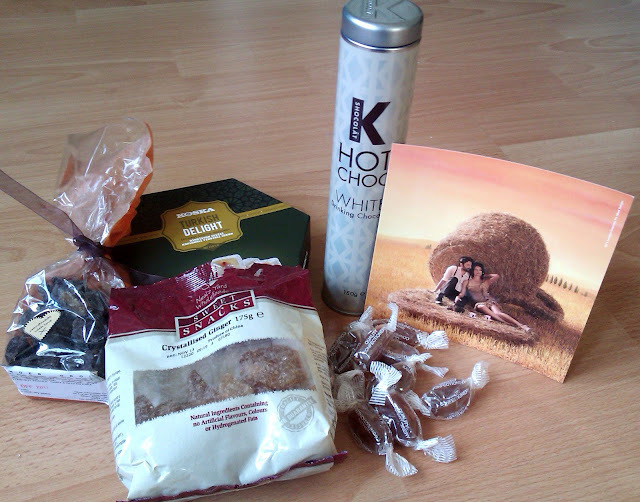 However, here I am and what better way to return than by revealing the contents of September's Foodie Pen Pal parcel? That is some chocolatey, gingery goodness right there. L - R at the front: dark chocolate covered ginger, crystallised ginger, fiery ginger sweeties; and at the back there, for a wee change, a box of hazelnut and coconut turkish delight and a beautiful tin of white drinking chocolate from kshocolat. Posh! I haven't tried this chocolate-covered ginger before, and it is quite the taste sensation: fiery, sweet and bitter all at once. Maybe not something I could eat a lot of on its own, but I have some plans to incorporate it into some baking recipes, where I think it will really stand out. It'll make an outstanding addition to my chocolate brownies, for example, and I've been trying out a new ginger biscuit recipe that I'm pretty sure would benefit from chunks of this stuff added in. 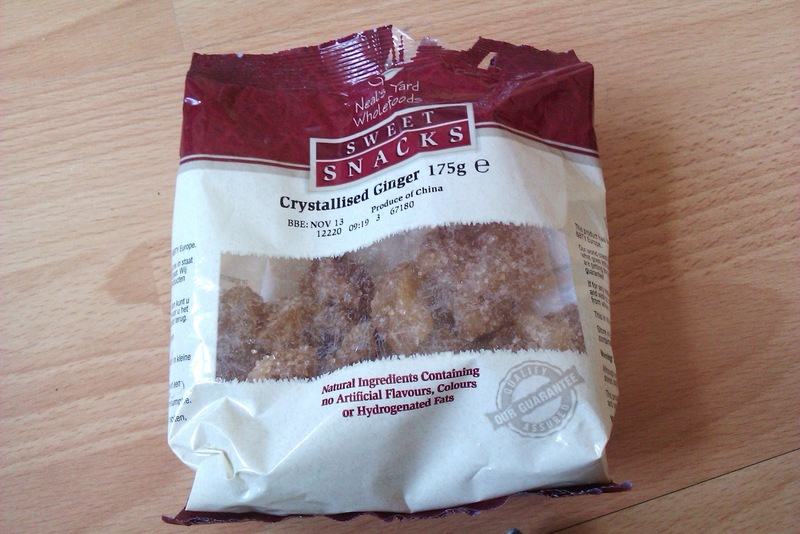 In fact, I've already used some of the crystallised ginger in the cookies and I can tell you, it was absolutely delicious. Exactly what was missing from the original recipe; soft, sticky, sweet and spicy little chunks of this made them a whole different biscuit experience and one I will be repeating at an early opportunity. 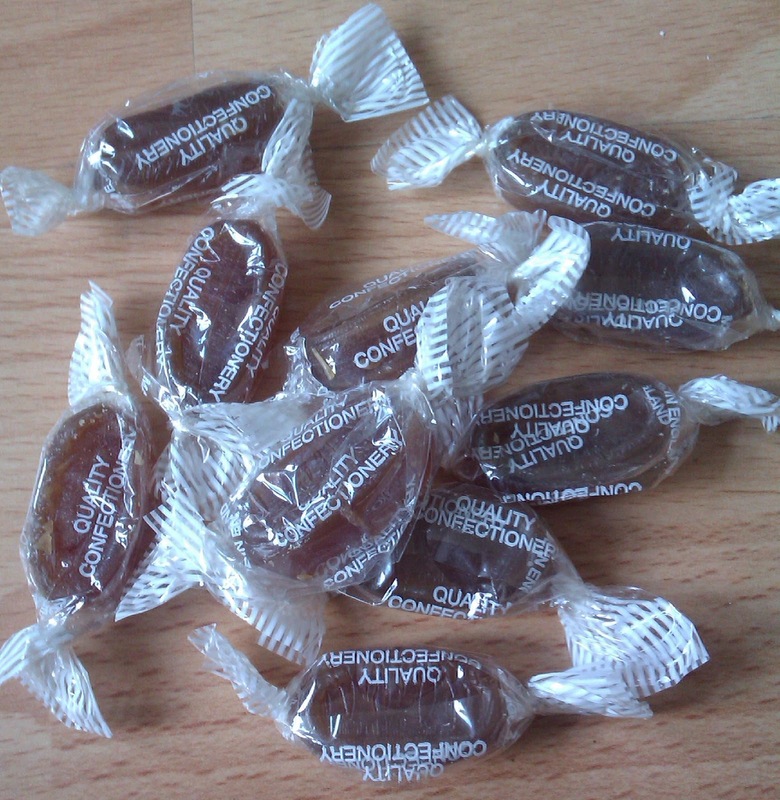 I haven't tried the ginger sweeties yet, but Emma tells me they're great for fighting off colds so as winter gets set in, I'm sure they'll be coming in handy. Again, I have some vague ideas about crushing some and maybe using them as a topping for the biscuits, we shall see how that goes - I'll keep you posted. Since I seem to be somewhat obsessed with the ginger biscuit recipe, it's just as well I also have the lovely hot chocolate, I can't think of anything nicer to dunk them in. A cold night, a good book, a stash of choccy ginger biscuits and a lovely hot mug of rich, sweet, creamy and comforting white chocolate goodness - what could be better? I made it really big though. Just for fun. 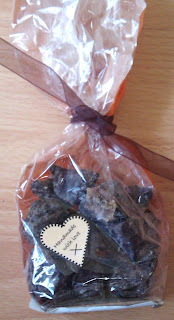 So, to sum up: thank you, Emma, for a fabulous FPP parcel. I have already enjoyed a lot of it and, as you can see, I have Plans to enjoy a lot more. I really hope you liked your parcel as much as I liked mine. One last word: thank you to Rock Salt for the time and trouble you take to run this scheme. It's an absolute pleasure to be part of it and I would heartily recommend it to anyone who isn't already on board. 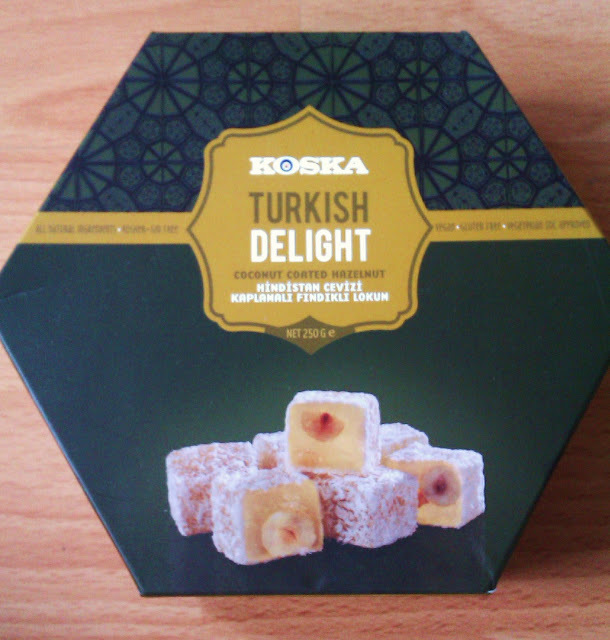 People send you lovely food. Why wouldn't you be part of it? Ooooh checkit! So many gingery things, those sweets sound fab. 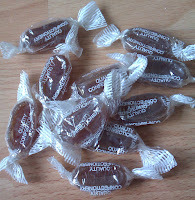 You could make a nice ginger liqueur with them - voda + sweeties + time = ginger cordial. DONE.